Kebabri is probably the only North-Indian, Punjabi style kebab joint that one can find in Vizag. 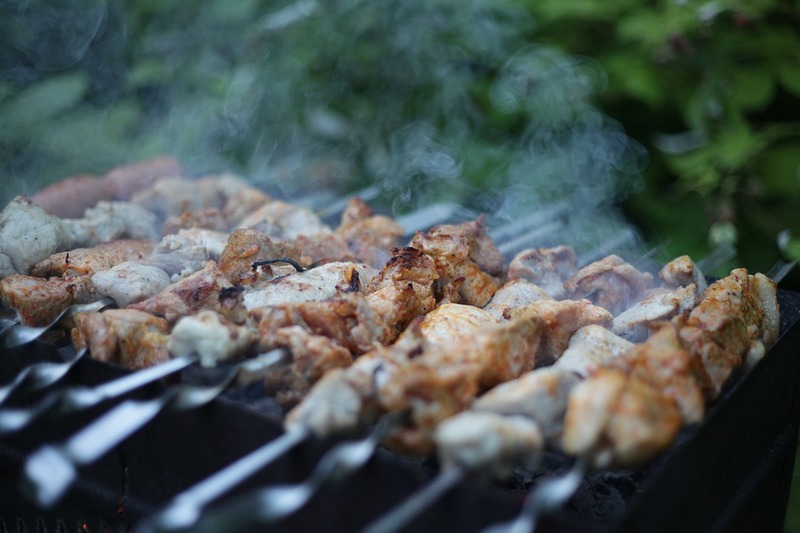 There are several other kebab/ tandoor joints, but Kebabri is the most popular, the reason – their kebabs are out of the world. Multani kebab and mutton seekh kebabs are truly mouth melting. Each time we cross Kebabri it’s a tough time to control our hunger pangs. A meal for two should ideally cost about Rs. 400. It’s not really an ambience or a restaurant that you can call. Kebabri is situated right at the entrance of Dutt Island, a commercial building in the heart of Vizag. There are a few chairs and tables, with beach umbrellas and you eat sitting there while looking at the kitchen bustling with all the energy there is in a tandoor kitchen. 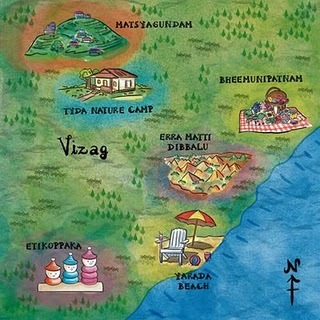 You may have a tough time during summers as it can get hot and humid in Vizag. You can do take aways or opt to eat in there. Kebabri is more of an open air fast food joint, with delicious food and prompt service making it a popular choice amongst youngsters and families. Try their garlic naa; it’s loaded with garlic and coriander and made in the authentic tandoor style. Even if you’re a vegetarian, do drop by at Kebabri for their mouth melting vegetarian fare.